Say goodbye to 300 hours of your life. Civilization V's next expansion pack is entitled Brave New World, it's the second fully feature content expansion for the game adding nine new civilizations, eight new wonders, two new scenarios, four new gameplay systems and dozens of new units. This isn't your kid's DLC folks. 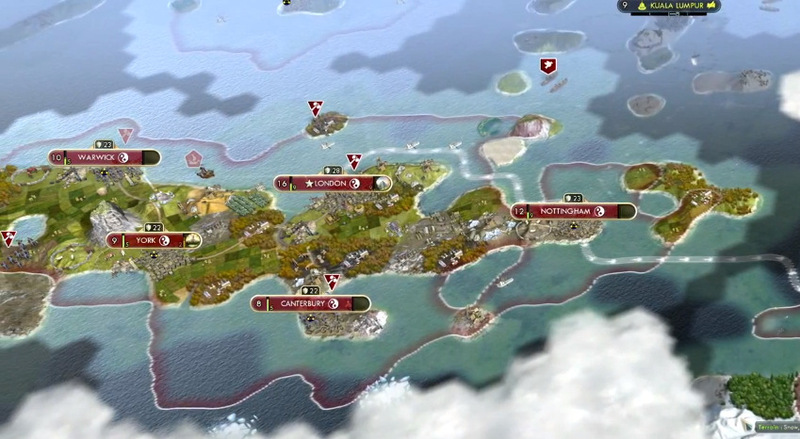 A new video is out focusing on the game's paths to victory - among them is a new culture victory. Players can create works of art and store them in cities to create culture and tourism and archaelogists can dig up the remains of ancient sites (from actual events in your campaign) to generate even further culture. Trade has been expanded as well, bumping itself up to an international level with fully featured trade routes. There's also a "World Congress" which can impose sanctions and make decisions for the entire world. As with the previous Civilization V game and its expansion, the game fully supports co-op play with players teaming up as different civs online. You can even play hotseat local co-op if you wish as well. Civilization V: Brave New World will be out on July 9th on the PC. Page created in 1.3254 seconds.